Selling Price for a new 2019 Metris 135" Cargo Van is $41,177. * Limited time lease offer provided through Mercedes-Benz Financial Services on approved credit. Representative lease example based on a new 2019 Metris 135" Cargo Van. 2.99% lease APR for 60 months. Monthly payment is $496, with $0 down payment or equivalent trade-in, $0 security deposit and first monthly payment due at lease inception. $2,790 freight and PDI due on delivery. Total lease obligation is $34,713. Unlimited yearly kilometer allowance; $0 for excess kilometers during lease term. Open-End Lease: After lease end, customer becomes responsible for the residual value of the vehicle of $14,625. Excess wear-and-tear charges may apply. 60 monthly payments required. All advertised prices and lease payments include $395 dealer administration fee, up to $55 fuel surcharge, $100 air-conditioning charge, up to $29.70 EHF tires/filters/batteries, $10 OMVIC fee and all other applicable fees and charges. Dealer may sell or lease for less. Dealer order/trade may be necessary. Offers are subject to change or cancellation without notice and cannot be combined with any other offers (except as specified herein). Offers end April 30, 2019 or while quantities last. 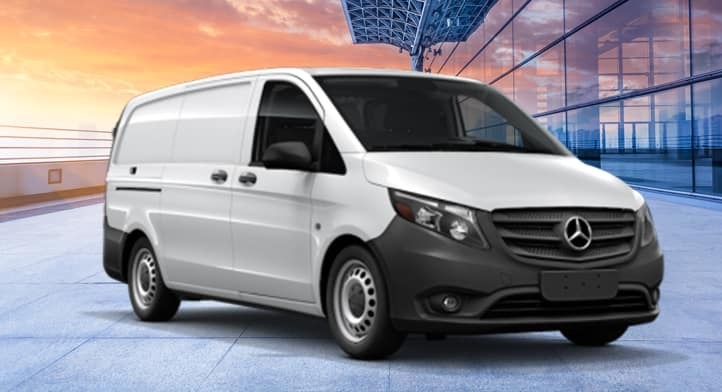 Selling Price for a new 2019 Sprinter 144" V6 Diesel Cargo Van with Convenience and Cargo Protection Packages is $53,903. * Limited time lease offer provided through Mercedes-Benz Financial Services on approved credit. 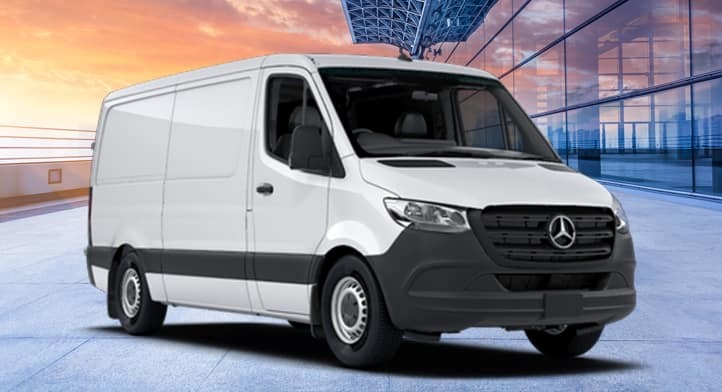 Representative lease example based on a new 2019 Sprinter 144" V6 Diesel Cargo Van with Convenience and Cargo Protection Packages. 3.99% lease APR for 60 months. Monthly payment is $636, with $2,500 down payment or equivalent trade-in, $0 security deposit and first monthly payment due at lease inception. $2,790 freight and PDI due on delivery. Total lease obligation is $46,818. Unlimited yearly kilometer allowance; $0 for excess kilometers during lease term. Open-End Lease: After lease end, customer becomes responsible for the residual value of the vehicle of $19,569. Excess wear-and-tear charges may apply. 60 monthly payments required. All advertised prices and lease payments include $395 dealer administration fee, up to $55 fuel surcharge, $100 air-conditioning charge, up to $29.70 EHF tires/filters/batteries, $10 OMVIC fee and all other applicable fees and charges. Dealer may sell or lease for less. Dealer order/trade may be necessary. Offers are subject to change or cancellation without notice and cannot be combined with any other offers (except as specified herein). Offers end April 30, 2019 or while quantities last.